Sales of new U.S. homes dipped in January but only after the government said the final quarter of 2011 was stronger than first estimated. An upward revision to December’s data and a drop in supply of homes on the market added to growing signs of a nascent recovery in housing, however. The Commerce Department said on Friday sales slipped 0.9 percent to a seasonally adjusted 321,000-unit annual rate. December’s sales pace was revised up to 324,000 units, the highest in a year, from the previously reported 307,000 units. Economists polled by Reuters had forecast sales at a 315,000-unit rate. Compared to January last year, new home sales were up 3.5 percent. Despite the weak sales last month, details of the report offered further fresh signs of green shoots in the housing market, with the months’ supply of homes on the market falling to 5.6 months – the lowest since January 2006. That compared to 5.7 months in December. A 6-month supply is generally considered ideal, with higher readings indicating steep price declines. The median price for a new home rose 0.3 percent to $217,100 – the highest level since October. Compared to January last year, the median price was down 9.6 percent. The inventory of new homes on the market was the lowest on record. Pierre Ellis, an economist at Decision Economics, said the improvement lends “additional support to the housing market,” and mirrors other positive signs in the industry. Data this week showed home resales rose to a 1-1/2 year-high in January. 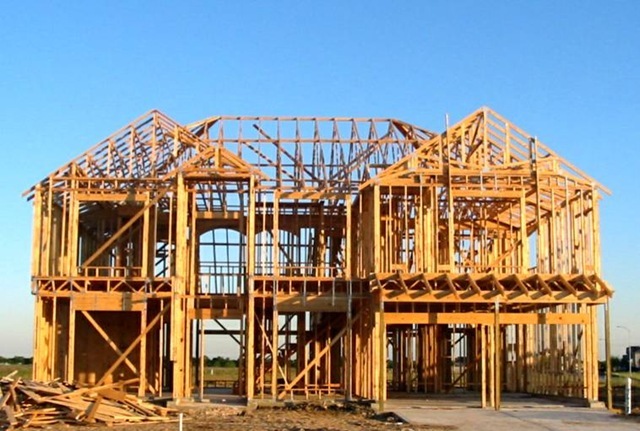 Confidence among homebuilders this month approached a five-year high and builders are undertaking more residential projects, mirroring the economy’s generally upbeat tone. Still, both sales and home construction remain far below their 2005 levels. New homes are selling well below the 700,000-per-year rate that economists equate with healthy markets. The Federal Reserve has suggested a number of ways other policymakers could step in to help the beaten-up market and is considering purchasing more mortgage-backed securities to drive mortgages rates even lower. New home sales last month rose in two of the four regions, but fell sharply in the Midwest and the West. The market for new homes faces stiff competition from previously owned homes, many of which are selling at a huge discount because of foreclosures. Economists caution that housing is a long way from fully recovering. Builders have stopped working on many projects because it’s been hard for them to get financing or to compete with cheaper resale homes. For many Americans, buying a home remains too big a risk more than four years after the housing bubble burst. 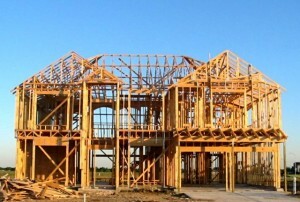 Builders ended 2011 with the worst on record for single-family home building. But in a hopeful sign, single-family home construction, which makes up 70 percent of the market, increased in each of the last three months. Entry Details:	This entry was posted on Tuesday, February 28th, 2012 at 2:08 am, by admin, and is filed under Free Education. You can follow any responses to this entry through the RSS 2.0 feed. You can leave a response, or trackback from your own site. Print This! Thanks for each other excellent article. The place else might anyone get that sort of information in such a perfect manner of writing? I’ve a presentation subsequent week, and I’m on the look for such info. You really make it appear really easy with your presentation however I in finding this topic to be actually something which I feel I’d by no means understand. It sort of feels too complicated and very huge for me. I am looking forward in your subsequent submit, I’ll try to get the hold of it! Well. I was able to beat the IRS This report seemed a little cheesy, but it thoroughly showed how to make a very cool IRS lien debt settlement. I really like this weblog, fantastic content material and I am going to bookmark this internet site for future updates. Hello my pal! I wish to say that this put up is wonderful, nice written and embody approximately all vital infos. I wish to see extra posts like this.